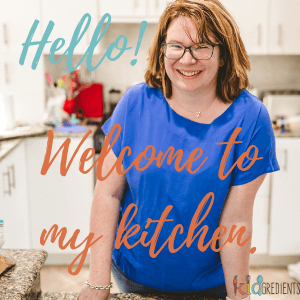 When I first started my blog, I had an amazing guest post from Juliette Francois that basically rocks. It’s about cloud jellies. 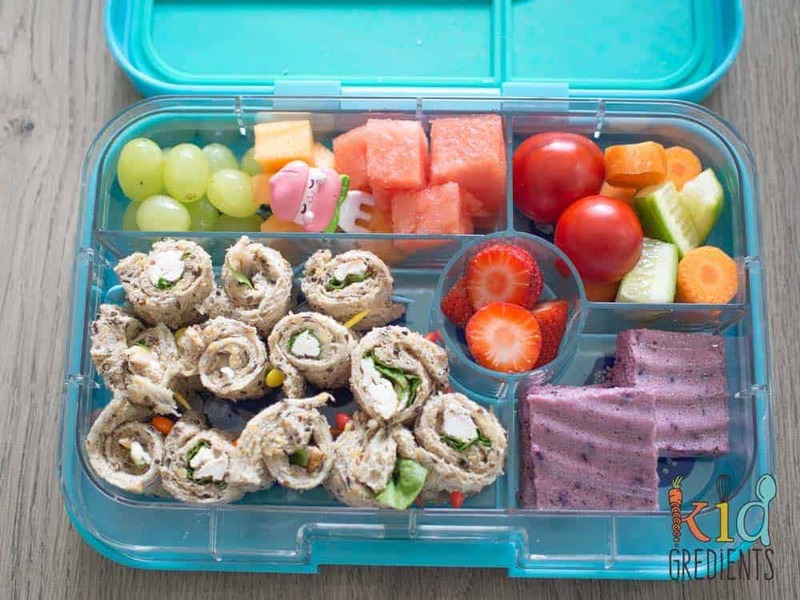 They have been a frequent addition to our lunchboxes since Juliette shared her method with us. But now, I’m sharing you my hack: even easier mixed berry cloud jellies. You probably have realised I’m all about making things as quickly, healthily and easily as you can, so this is why I decided to try and make cloud jellies even easier. I love that cloud jellies get sliced up and that they are freezable, and also able to go to school in the lunchbox, but I don’t love any extra fiddling with gelatin, juice etc, so I wanted to make these super simple. There is a layered version of these in my ebook too. Why do kids love cloud jellies? Well, they are jelly. Enough said right? So why should adults love them? When made with good quality gelatin, good quality yoghurt (I make my own…find out how here!) and just fruit as a sweetener they are a healthy treat that helps to satisfy hungry little humans at lunch. 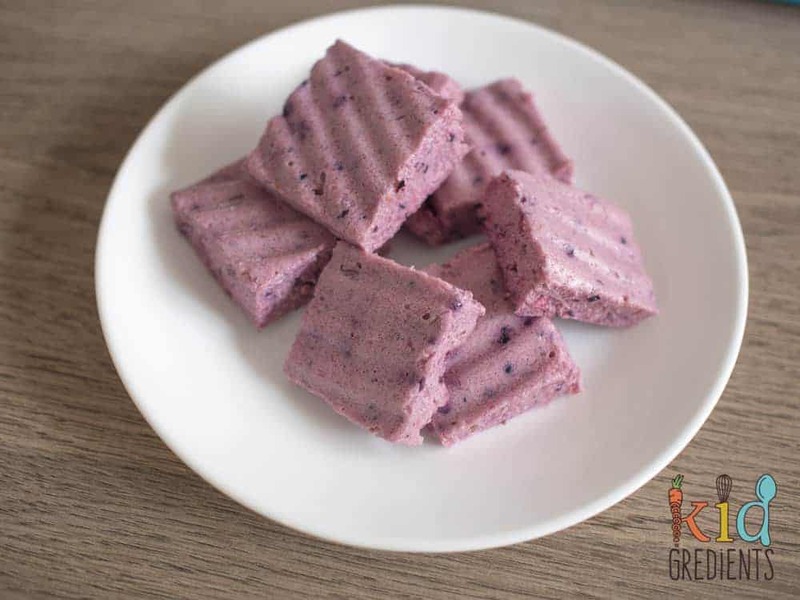 There’s no refined sugar in these, so you aren’t giving kids a sugar high, instead you are helping them power through to the last bell with some extra protein and the health benefits of gelatin. If your kids can’t eat all of these in a few days, then you can freeze them and they hold their shape when defrosted in the fridge ready to go in the lunchbox. Now, if you get into the cloud jellies and love them…you can try this blueberry cloud jelly cheesecake! 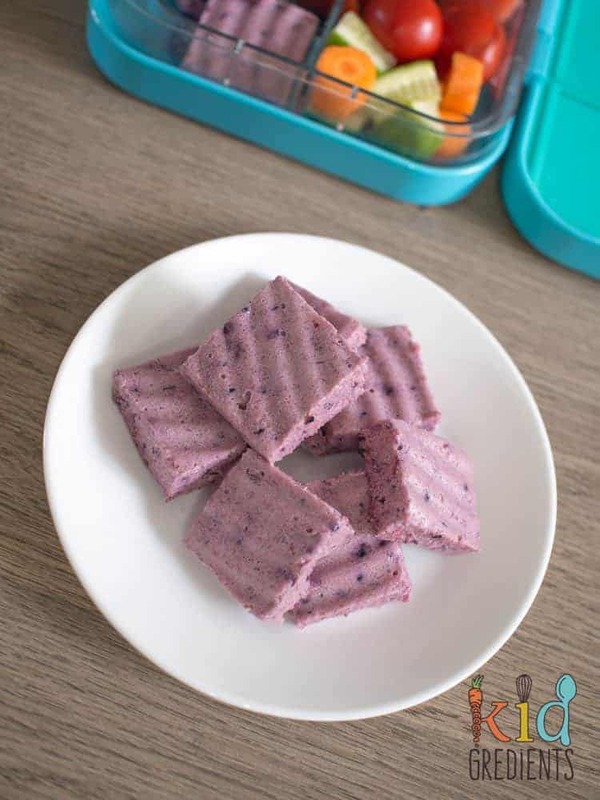 Delicious, simple to make these even easier mixed berry cloud jellies are the perfect lunchbox addition. Allow the berries to defrost either in the fridge or on the bench. Add the gelatin to the water and whisk to dissolve. Add the berries and the yoghurt to the bowl of a food processor. Add the gelatin and water mix to the yoghurt and berry mix. Add the lemon juice. Blitz until smooth. Pour into moulds or trays and allow to set for 4 hours. De mould or cut into squares. Keeps in the fridge for 3-4 days or can be frozen. After reading the comments i found success with this modified recipe. Add gelatin a spoon at a time and whisk quickly. I still had a few lumps but scooped them out with a tea strainer. Add all ingredients to blender/food processor and blend. This was half set by the time I finished blending so I had to warm it in the microwave for a bit to spread it out over the tray. I am going overseas for a month and was looking for a way to use up my ingredients that I could freeze. Coconut yoghurt is bloody expensive. This worked well and tastes nice. I find the supermarket gelatin just doesn’t cut it. It doesn’t work the same way as the Great Lakes. Oh no! What kind of gelatin did you use? I just ended up with lumps of gelatin almost like rubber amongst my mixture. Oh no- what type of gelatin did you use? You could try, worst case it will stay runny, and then you just eat it as though it is yoghurt. I’m not entirely sure, what is there water content? It could really change the substance of the recipe, but you could give it a go! Hi kylie, any chance the puree pouches can be used in this ? I know it’s got a lot of sugar but that’s all I have in the cupboard atm. 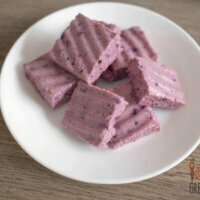 How would I alter the recipe for these ? Hi Kasey, what sort of pouches? Kylie, I’m guessing it’s 3 tablespoons of gelatine (as in video), not 3 teaspoons (as in written recipe). Mine haven’t set and i think I’ve worked out why, lol. Yes it is! Need to fix this! Hi Kylie, thank u for the awesome recipe! Can I ask how could I get some yoghurt starter cultures? The cheesemaking workshop sells it online, but if you have a local home brew shop, they normally sell it too!